Can you select buyback loans? Yes. 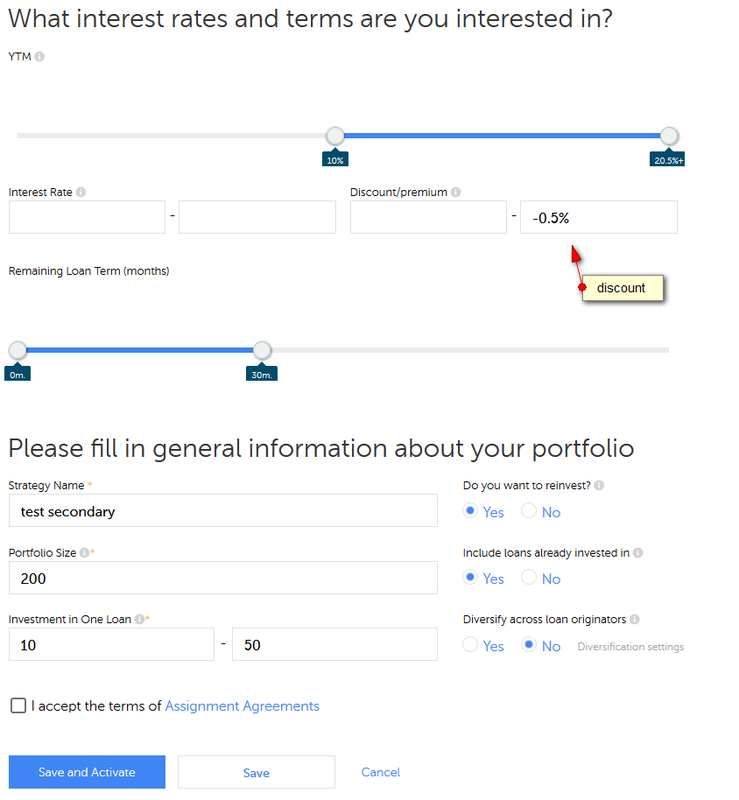 Selection criteria are the same as on primary market autoinvest plus YTM, discount and premium settings. I am wondering if there is a possibility to invest in secondary market loans which already has positive payment record. 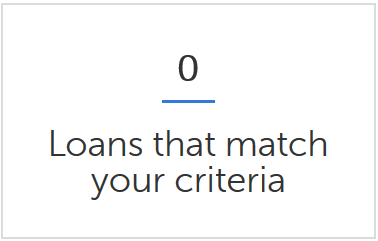 Current status is selected by default, but issue date needs to be selected manually under each loan originator. 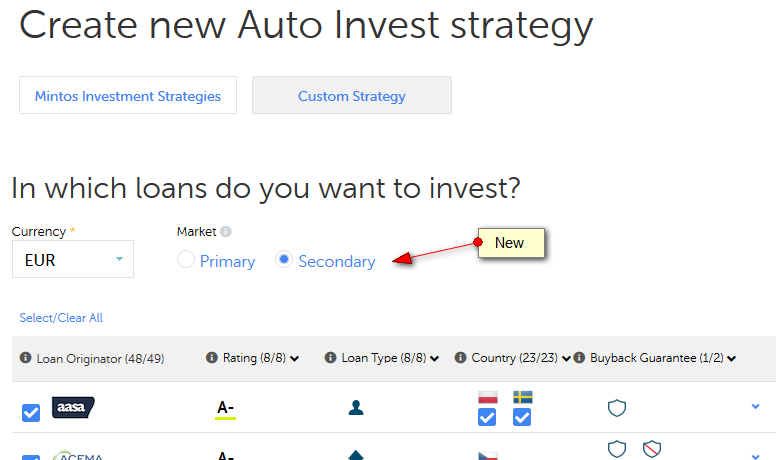 I don’t see an automatic way, unless you manually adjust issue date and/or listing date periodically in the secondary market autoinvest. Why do you think, this will yield better results than just setting it to current? Do you pick non-buyback loans? Thanks for quick response. Yap, the filter is for non-buyback loans. Btw, do you have an answer which investor gets priority when multiple investors match a new loan on the sale?